One of the healthiest fruits of the lot, pomegranate comes packed with innumerable health benefits. This high-fibre fruit can help in maintaining a sound health. One of the healthiest fruits of the lot, pomegranate comes packed with innumerable health benefits. This high-fibre fruit can help in maintaining a sound health. According to the book, 'Healing Foods' by DK Publishing House, "Native to modern-day Iran and Iraq, pomegranate has been used as a folk medicine for thousands of years. The juice contains substances that support a healthy prostrate and antioxidants to maintain the elasticity of arteries. All parts of the plant are used as medicine in the Ayurvedic traditions." You can combine pomegranate seeds with orange segments, mint, lettuce etc. and eat in the form of salads; however, juicing the seeds may help you reap all its benefits in a concentrated form. 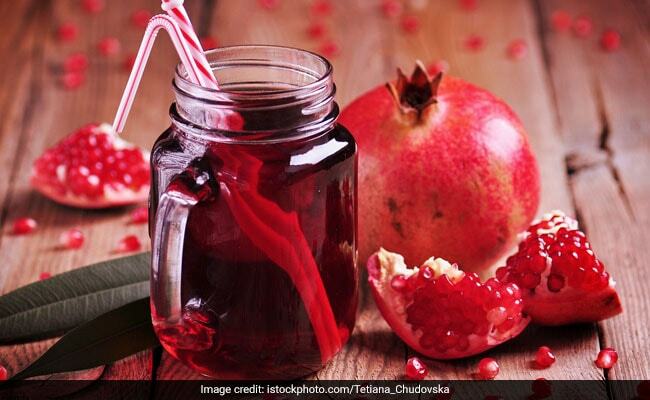 Loaded with health promoting antioxidants, pomegranate juice has antiviral properties that can keep infections at bay. Various studies show that extracts of the fruit are effective against dental plaque. According to 'Healing Foods', antioxidants flavonols have been shown to significantly reduce the activity of proteins that cause inflammatory conditions such as arthritis. Preliminary studies show that pomegranate extract can block the production of an enzyme that destroys cartilage in the body. The presence of polyphenol compounds in the fruit stops free radicals from oxidising 'unhealthy' (LDL) cholesterol in the blood and causing plaque to build up on artery walls. So, add this healthy potion to your daily diet and say bye-bye to ailments. From A Perfect Workout Snack To Managing Blood Pressure This Delicious Red Fruit Offers Incredible Health Benefits!